If you have to do a complete replacement involving tear-off, you’ll also have to include the cost of renting dumpsters and hauling away the debris. Additionally, in some states there may be local regulations to comply with. While the cost of roofing a two-story building is similar to that of roofing a one-story building, costs increase as height increases. That’s because of the labor and equipment needed to raise materials and lower debris. The presence of slopes and hips will also drive up the cost, as they make the job more complex. In addition, any factors that restrict access – like very narrow alleyways – will also add to the cost. Commercial roofing decks can be steel, concrete, gypsum, cement, fiber, or plywood. Each decking material has different costs associated with it. The condition of the deck plays a role, as well. Anything on the rooftop – like rooftop pipe supports – adds to the cost because workers will have to install the new roof around multiple edges. Most building codes require insulation that provides an R value of at least R-19. 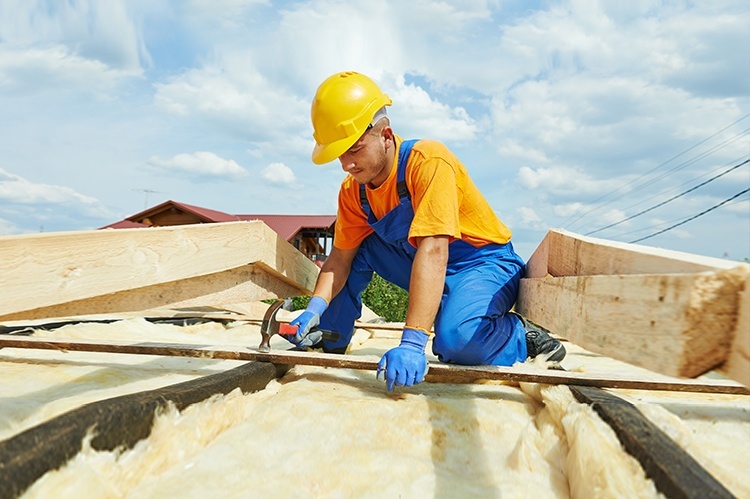 If your local building codes are stricter, you’ll need more insulation, which will make your roof more expensive. There is a wide variety in the cost of roofing materials and installation methods. For example, a 45 ml TPO single-ply will cost less than a two-ply modified bitumen roofing system. When it comes to installation methods, a ballasted roof will cost less than an adhered roof. To complicate things further, an adhered roof can be secured with either a water-based adhesive or a solvent-based adhesive. No reputable roofing contractor will give you an estimate without an on-site inspection of your roof. If you get more than one quote – always a good idea – make sure you’re comparing apples to apples. Before you can compare one contractor’s estimate with another’s, you have to be certain that materials, amount of insulation, installation methods, etc., are the same. Will we be able to continue working during the installation? Why or why not? If a complete tear-off is necessary, will the building’s interior be vulnerable to the elements? What will be done to protect it? If we can’t work during the installation process, what can we do to make up that lost revenue? And what about paying my employees? What will be done to protect my rooftop pipe supports? Can my rooftop pipe supports be reused or will we need to get new supports once the roof is replaced? If we do work during the installation process and one of my employees (or a customer) is injured, who’s liable? Who will be responsible for the debris disposal? What regulations guide debris disposal? If the contractor disposes of the debris improperly, am I legally responsible? What are the consequences if I am? A new roof is a major capital investment. To invest wisely, choose a reputable contractor and make sure you thoroughly understand both the process and the factors on which the price is based.